On November 13, 2018 the Magistrate of Philosophy and Science (with a voting breakdown of 37/8) was elected. 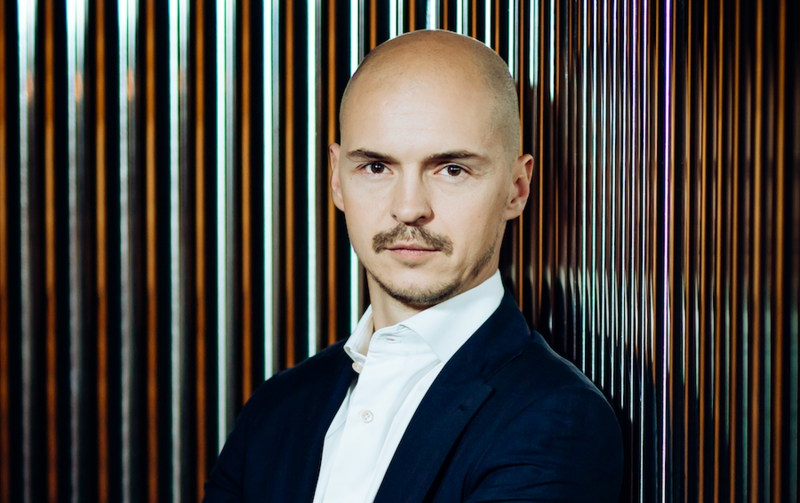 The newly-elected Magistrate, Dmitry Volkov, is a Russian entrepreneur, sophist, art patron, member of the creative community. Dmitry is also a member of of the Board of Trustees of the Tretyakov Gallery Support Fund and was appointed patron of the Garage Museum of Contemporary Art in 2016. He is chairman of Arsenal, the branch of the National Centre for Contemporary Arts, and one of the founders of Moscow Center of Consciousness Studies in the philosophy department of Moscow State University. This election is an extremely important social initiative and is not only about launching a new and essential position in the Government but also about Dmitry’s active official participation in Freeland performance. Any global social experiment is fully reliant on those who create and develop it. The biography of the newly-appointed Magistrate bears evidence that Freeland just got more ample in terms of its cultural and social life and strategic development. In 2008, Volkov passed Ph.D. defence on the topic “Daniel Dennett’s theory of consciousness”. In 2009, he became one of the co-founders of Moscow Centre for Consciousness Studies in Moscow State University which supports Russian research of consciousness and analytical philosophy. In 2012, Dmitry published a book under the title “Boston Zombie: D. Dennett and his theory of consciousness”. In the summer of 2014, he launched a philosophical expedition devoted to “the problem of free will in analytical philosophy” in Greenland. A number of well-known sophists and researches, such as: Daniel Dennett, Nick Humphrey, Andy Clark, Jesse Prince, Derk Pereboom and David Chalmers, became members of the expedition where Volkov and Dennett organised debates on the phenomenon of consciousness. Volkov also initiated a dialogue between Russian scientists and Dalai Lama about consciousness in August 2017, in Delhi. He also took part in a second conference with Dalai Lama in May 2018, in Dharamsala (India) where he discussed Artificial Intelligence, among other topics. In March 2018, he participates in a discussion of AI as the opponent of Tatyana Chernigovskaya. As a co-director of the Moscow Center for Consciousness Studies (MCCS), Dmitry is the organiser of an international philosophy summer school. The school which takes part twice a year provides for intense workshops and lectures from world-known experts in cognitive science, free will and moral responsibility. Professor John Fisher was the host of the first school way back in 2014 and was devoted to the theme of free will and moral responsibility. The second school took place under the auspices of Derk Pereboom in 2016 in Riga, and its major focus was correlation between free will and consciousness. In 2018, the summer school took place in Malta in the private residence of the President of Malta. The participants were discussing the subject of personal identity with the distinguished Oxford professor Richard Swinburne. In terms of contemporary philosophy of mind, Volkov criticised and expanded Daniel Dennett’s theory of consciousness. In the book “Boston Zombie: Daniel Dennett’s Theory of Consciousness” he stated that Daniel Dennett’s multiple-drafts model is not verifiable and thus cannot be an empirical hypothesis. He also pointed at the disagreement between the multiple-drafts model and the more recent Daniel Dennett’s tenet of “Fame in the Brain”. He suggested a detailed interpretation of the “Two Black Boxes” and “Where Am I?” mental experiments. In terms of analytical philosophy Dmitry developed a narrative theory of freedom and moral responsibility and identified the dependance of free will and moral responsibility matters on mental causation, determinism and personal identity sub-problems. As a counter example for or Jaegwon Kim’s causal exclusion argument, he presented the “Library of First Editions” mental experiment. In the article “What Does Pereboom’s Manipulation Argument Prove” he criticised Derk Pereboom’s ideas in detail and gave additional scenarios of “manipulation”. Volkov developed a solution to the “disappearing agent objection” using the four-dimensional view of person. He criticised Vasilyev’s argument from the causal trajectories using the alternative “Twin Argument” in the article “Does V. Vasilyev’s Argument from the Causal Trajectories Refute Local Supervenience of Mental Properties upon Physical Properties?”. Volkov systematised the requirements for the narrative which may be the basis for belief that a single personality extended in time exists. He defended super-compatibilism in terms of free will and moral responsibility, according to which freedom and responsibility are compatible both with determinism and indeterminism. He took part in the debate over free will, moral responsibility, modern and classical compatibilism with V. Vasilyev organised by the Institute of Philosophy, Russian Academy of Sciences. He is one of the organisers of a cognitive cruise with the leading neuroscientist S. Dean and the philosopher D. Dennett. He is among the initiators of publishing a series of “Philosophy of Mind” books by Editorial URSS, a Russian scientific literature publishing house. He is an advocate of modern analytic philosophy methods. We come across a philosophic problem of freedom even in everyday life. When someone makes a mistake, he points out the reason of this mistake. Reasons are to blame. But each event had its reason which provided for the consequences. This sounds reasonable! On workshops on personal growth they tell you to take responsibility for your actions and to stop whining and blaming the world. This also sounds reasonable. So who is right? There is a direct contradiction here. This is the problem of free will, and thus it is not abstract but personal and relates to everyone. Volkov participated in a number of art and cultural initiatives as an art patron, performer and performance artist. He was dancing as part of the cast in a Broadway musical and acted in a 1992 movie “For the Purpose of Survival”. In 2015 Volkov and his SDV Arts & Science Foundation organised a Street Piano Festival in Moscow and a pop-up exhibition of the contemporary technological art “Superconduction: Challenge of Art & Technology” in Riga. The following year the festival continued as the Transcendental Piano Festival, held in September, from 16 to 18, 2016 in Muzeon Park. For the purposes of the Festival, well-known Russian musicians, artists, scientists and engineers: Peter Aydu, Olga Kroytor, art-band Electroboutique, Yan Kalbernzin, Oleg Makarov, Alexander Kaplan unfixed all established notions about the classic piano and presented hybrid ones to the public. At the opening ceremony, Volkov performed together with Igor Butman, as well as Olga Kroytor, Vladimir Nesterenko, Oleg Akkuratov, Anton Baronin, Polina Osetinskaya and Valery Grokhovsky playing pianos. Together with scientists, artists and robot technicians they explored new models of interaction between musical instruments and music. In 2015 Volkov supported the publication of a series of albums on contemporary art with the like-wise name focusing on the works of contemporary Russian artists and their role in the context of Russian and world culture development. Together with Oleg Kulik, Volkov organised the performance in St. Petersburg “Strong Proof of the Existence of the External World” (2015) as well as other performances and fine arts initiatives. In the summer of 2015, Volkov organised an expedition with Social Discovery Ventures’ employees and mass media representatives to Burning Man art festival, where he presented his latest art project with Oleg Kulik – the OraculeTang installation. “Leonid Sokov. Unforgettable Meetings” was held in the Tretyakov Gallery from October 14, 2016 to January 29, 2017 with the support of the foundation. Dmitry donated a number of paintings by Sokov to the exposition. On September 14, 2016 an art exhibition under the name “Collection! Contemporary Art in Russia and the USSR in 1950-2000s” opened in Centre Pompidou by virtue of Russian artists and collectors (including Dmitry Volkov and SDV Art & Science Foundation). The exhibition turned out to become a unique case of alliance of various art schools, artists and collectors. Volkov donated a soviet flag upgraded by Sergey Bugaev-Africa to the museum. Olga Sviblova was the master-mind of the exhibition. All the 250 art works by 60 artists were donated to the Centre by Russian art-patrons. For me being a collector means active participation and not only purchase of art-works. In a contemporary world where everything is being virtualised and copied, simple possession of a work of art loses its sense. I do not want just to own, I want to be an active participant and to experience the whole process. My collection is not a collection of art but of memories and feelings. In March 2017, Volkov took part in “Secret Millionaire” TV-show which involved rich people in a social project aimed at searching people or projects that need financial support. As part of his participation in the project, Volkov decided to support Arsenal, the branch of the National Centre for Contemporary Arts in Nizhny Novgorod. Since May 2017, Volkov has been chairman of the Board of Trustees of the Fund “Cultural Capital of the Volga Region”. The Fund is a strategic partner of the Volga-Vyatka Branch of the National Centre for Contemporary Arts forming part of the State Museum and Exhibition Centre ROSIZO of the Ministry of Culture of the Russian Federation (Arsenal). In the summer of 2017, he returned to the Burning Man festival together with the famous Russian artist Andrey Bartenev. They presented a joint project “Aliens? —Yes!” that consisted of 4 alien figures from 4 to 12 meters high and an alien parade. The project was rated by Business Insider as one of the wildest art events at Burning Man.